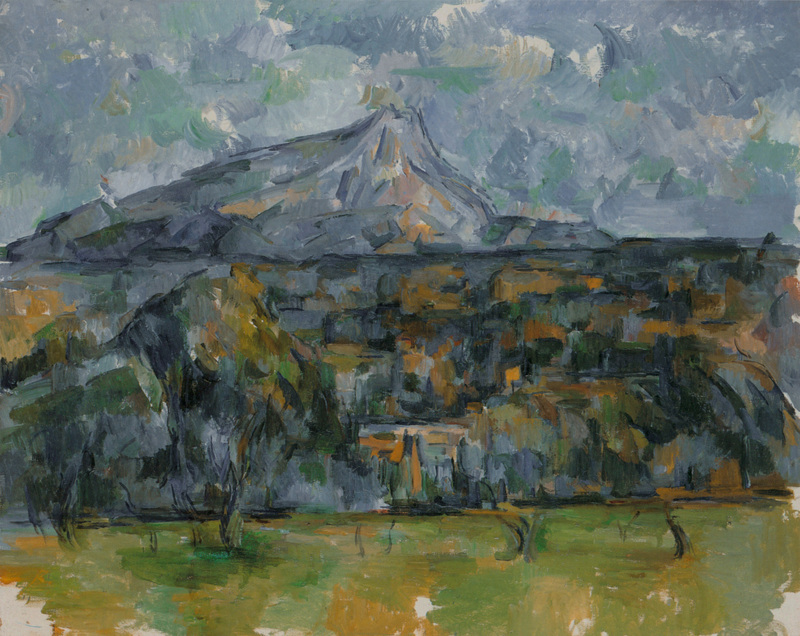 The « site » of the late Sainte-Victoires was, with one or two exceptions, never exactly the same; Cézanne moved right or left, or toward and away from the mountain, and the seasons changed. 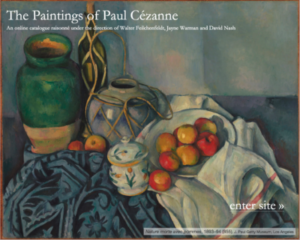 Each view had different consequences for the composition. One of the early paintings, R913-FWN353, is composed of three distinct bands: a sloping meadow with a scattering of olives in the foreground, a deep plain reaching to the base of the mountain, and the mountain itself. The space is clearly defined and is, in a way, the organizing principle: the largest tree is a repoussoir that throws the mountain into the distance—but then brings it back, because it also shares the mountain’s profile and touches it right at a break in the mountain’s shape. Horizontal and vertical touches, interlocking at their edges, lead us from the meadow to the mountain across clumps of trees and patches of fields, and there the touches are again diagonal, conforming roughly to the shape of the mountain. 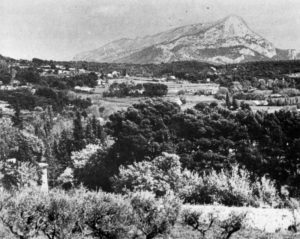 The silver-grey tones of the olives inform even the middle ground (where it is not clear what the plantings were) and the mountain’s face and the sky as well; so do the oranges of the one visible house and the autumnal meadows.